to a comprehensive 3-0 west London derby win over Brentford. “It was good to give the fans something to smile about in a London derby,” said Hoilett “And my goal makes it all the sweeter for me. “It was a great win – the fans deserved it, and I think the players did, too. “We’ve been working hard as a team, and the manager has been working hard to build a structure in training. He added: “I was happy we got the three points. I just can’t wait for the next game now. “Every player gave their all – and ran the extra mile for each other. It was good to keep another clean sheet for Alex [Smithies], as well. 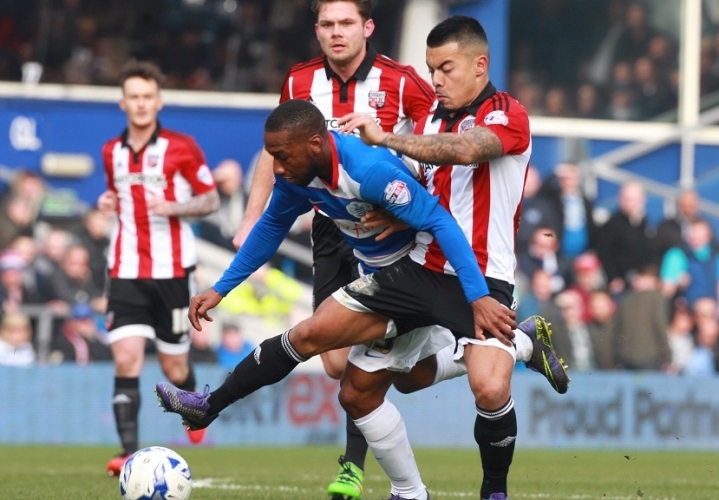 Hoilett has impressed of late – and increased his goals tally to six for the season with the strike against Brentford. The winger chose to pay tribute to Jimmy Floyd Hasselbaink – who was appointed Rangers boss in December – following this latest victory, QPR’s fourth in five home fixtures. Hoilett also talked us through his first-half goal, saying: “Ale [Faurlin] made a run to open up space – I drove forward, saw the far corner and just went for it. “It’s as good a goal as I’ve scored for QPR in my time here. “Since day one, when he (Hasselbaink) came in, he’s put his belief in me. He’s given me a run of games and I’m just trying to repay him.